Customising your motorcycle and turning it into a creation made just for you can be one of the most enjoyable and satisfying experiences in motorcycling. It can also be hell. 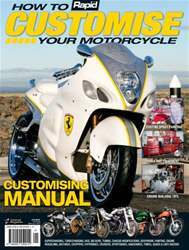 How to Customise Your Motorcycle is written to help guide you through the steps required to customise your bike and to offer you invaluable advice and tech tips from the experts in the industry. 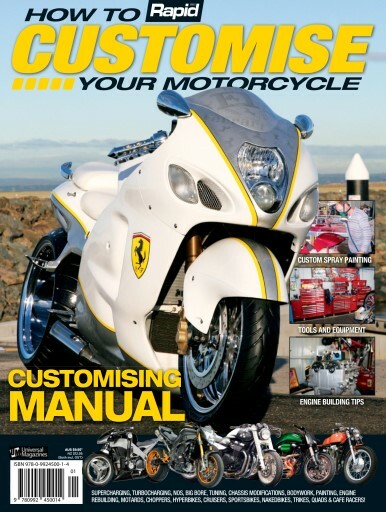 Whether you are planning a full-blown show build, an extreme machine or just a few small tweaks to make the bike your own, you will find help in these pages — written by enthusiasts, the staff of famed custom motorcycle magazine Rapid Bikes, for the enthusiast.